Your lady love is a huge fan of heart designs and boast of all things heart, from outfits to bags and shoes? 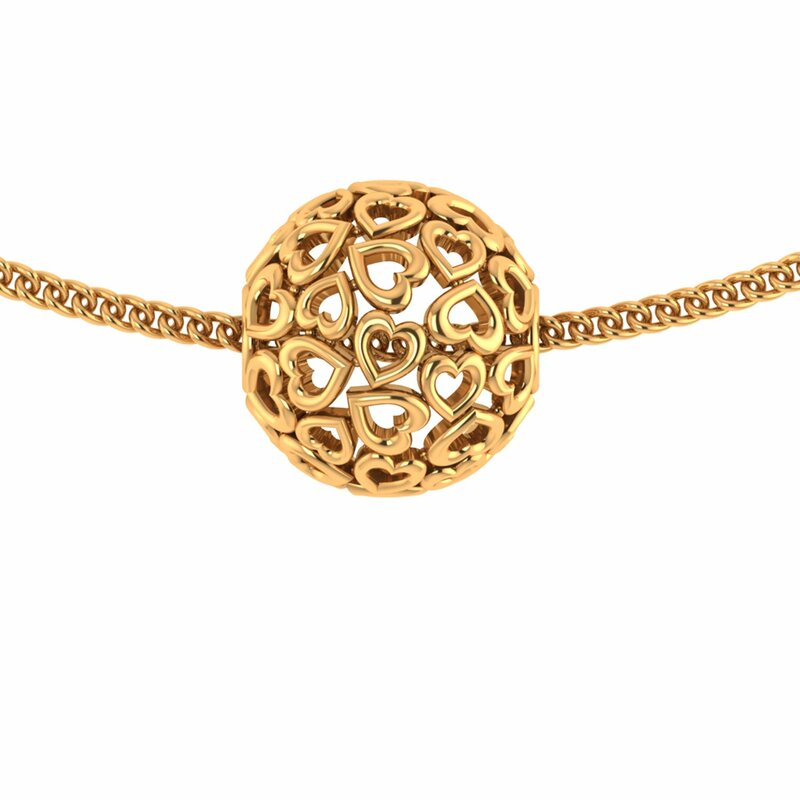 So this gold pendant, with a number of hearts interwoven together to form a ball, is the Valentine Gift you were looking for her. What's more! It's light-weight and thereby, easy on the pocket too. So without a second thought, get it gift-packed for her.